Synopsis: Driving her car too fast on a rain-slick road, ballet dancer Jean Thatcher (Irene Ware) careens down an embankment and is critically injured in the crash. The doctors treating her declare that she will likely never walk again. Her only hope, they say, is brilliant surgeon Richard Vollin (Bela Lugosi). But Vollin, who has retired from practice in favor of medical research, refuses. Jean's father, Judge Thatcher (Samuel S. Hinds), appeals to his pocketbook and then his humanity, to no avail. Only the news that Vollin's rivals concede his superiority convinces him to perform the operation. Weeks later, Jean has fully recovered. Though she is awed by Vollin's talent, and grateful for her new lease on life, she is nonetheless uncomfortable with Vollin's growing personal interest in her. Judge Thatcher notices the same thing, and warns Vollin to stay away from Jean. Vollin, enraged that Thatcher would be so ungrateful as to stand in the way of what he desires, begins to plot his revenge, and before long he finds that an unexpected visitor has turned up at his door, one who will help move his plan forward. The visitor is easily recognized by anyone who reads the newspapers -- he is a fugitive named Bateman (Boris Karloff) and he has heard that the brilliant doctor can alter his appearance and allow him to avoid detection. Vollin changes the man's appearance, all right -- by severing a critical nerve, he causes one side of Bateman's face to sag like that of a stroke victim. He then tells the fugitive that he will repair the nerve damage only if he assists him in meting out revenge against Jean, her fiancee and Judge Thatcher. Comments: What, you two troublemakers again? 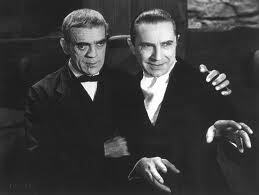 Prior to signing on to the Horror Incorporated Project, I didn't know that Karloff and Lugosi had appeared in so many films together. But here they are again. 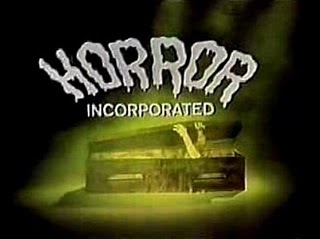 Really, they were kind of the Martin and Lewis of 30s horror movies. 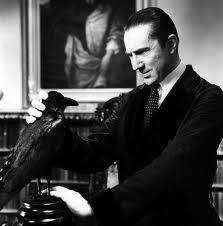 The Raven, in fact, is a direct follow-up (though not a sequel) to The Black Cat, Universal's top money-maker for 1934. Like the earlier Poe-inspired outing, this one boasts an extremely tenuous literary connection, a snazzy house with some nasty secrets in the cellar, a pair of young lovers, and a beautiful woman in danger. 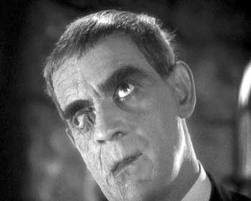 But Karloff and Lugosi trade places; this time Karloff is the decent but broken man tormented by his past, while Lugosi is the pipe organ-playing nutter. Even by the standards of Universal horror films, Lugosi portrays an extremely gloomy fellow here (let's face it: anyone who plays a pipe organ in his living room when he's not tinkering with the torture chamber in his basement cannot be described as happy-go-lucky), and his Dr. Vollin is essentially the mad scientist character he would play again and again throughout his career. Boris Karloff manages to make Bateman sympathetic largely through body language (he was really very good at these sort of roles) and Irene Ware was delightful as Jean. 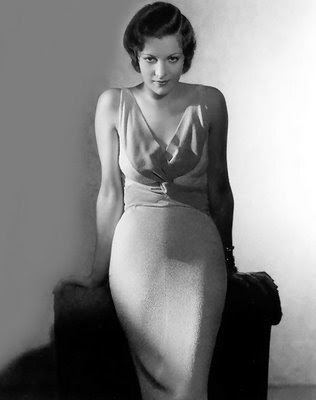 Ware's good-natured flirtiness might have looked easy enough, but remember that she had to convince the audience in a few brief scenes that she could be ground zero of a man's obsession (if you want to see a movie that doesn't pull this off, see Invisible Ray, The). 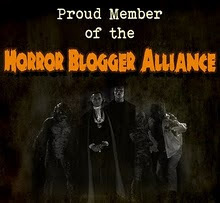 But it does capture a certain brooding atmosphere, and much of the punch of these old-style horror flicks was in the atmosphere they created. I don't recall a single scene taking place during the day, and in spite of The Raven's thin storyline -- or perhaps because of it -- I suspect it's the sort of movie that Edgar Allan Poe would have appreciated. 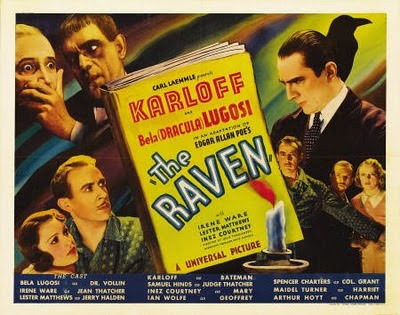 Much stronger on pace than atmosphere, THE RAVEN was the last Universal title built around the Lugosi persona, yet would not exist without the unforgettable Karloff presence. Surprisingly, the critical backlash against this film, although far less extreme than THE BLACK CAT, helped precipitate the horror ban that forced Hollywood to abandon the genre. It's a sad fact that this film, and his own performance, did Lugosi's career more harm than good at the time.